The buzz surrounding the Whitney Museum of American Art’s new opening on Gansevoort Street continues. Contract Magazine joins the conversation about how today’s museums should function while highlighting the intuitive relationship of its curatorial offices, where Arenson played a huge role. Designed by Renzo Piano Building Workshop in collaboration with New York firm Cooper Robertson, the new Whitney Museum extends the pedestrian activity from the Highline to the satellite gallery/bookstore on the lobby floor and up through its open floor galleries and outdoor terraces, which were also furnished by Arenson. This relationship between pedestrian and museum reflects that of the museum and curation at the Whitney, by establishing an ongoing exchange between the artwork and its curatorial offices. The curatorial offices, inspired by the artwork of Donald Judd, were designed by the architects as branches of the galleries in order to provide a direct conversation with the artwork and galleries. 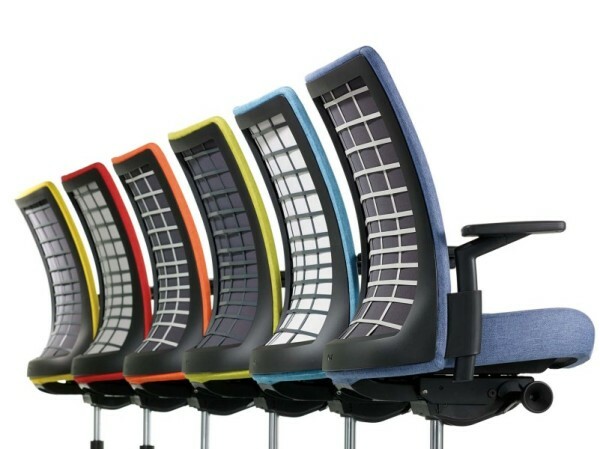 Arenson devised a millwork-type solution using systems product within Knoll’s standard product range: Antenna Workspaces and Reff Profiles. The custom gallery-like panel creates the atmosphere of walking through a gallery. 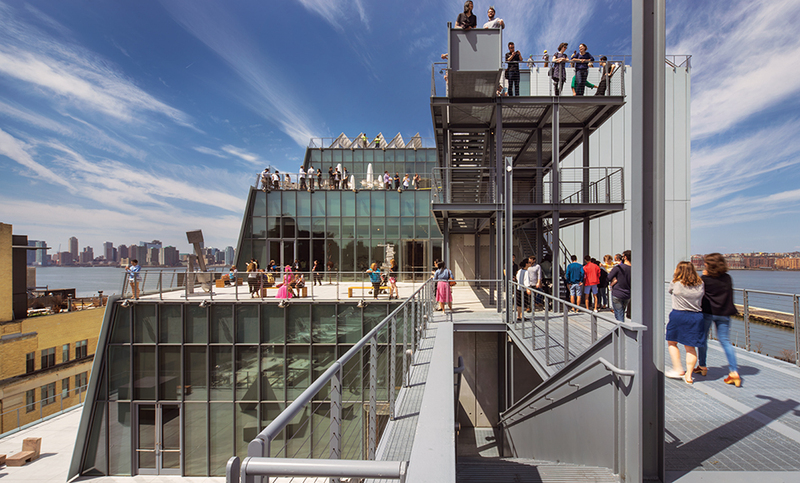 John Czarnecki, the author of Whitney Museum of American Art in Contract Magazine, and Scott Newman, FAIA, a principal with Cooper Robertson, eloquently explains the new Whitney’s relationship between gallery and office. 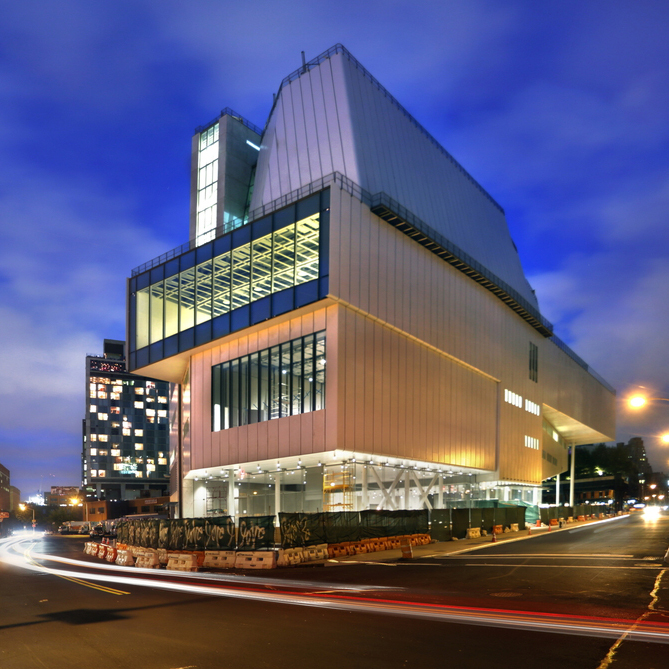 Read more of Czarnecki’s article on Whitney’s success a museum of the 21st century and view our project profile of the Whitney below to see more images of the curatorial offices and our contribution. Proximo is a privately-owned, premium spirits importer based in Jersey City, New Jersey. With just over seven years of business, the company’s portfolio has already grown to hold twelve premium brands. 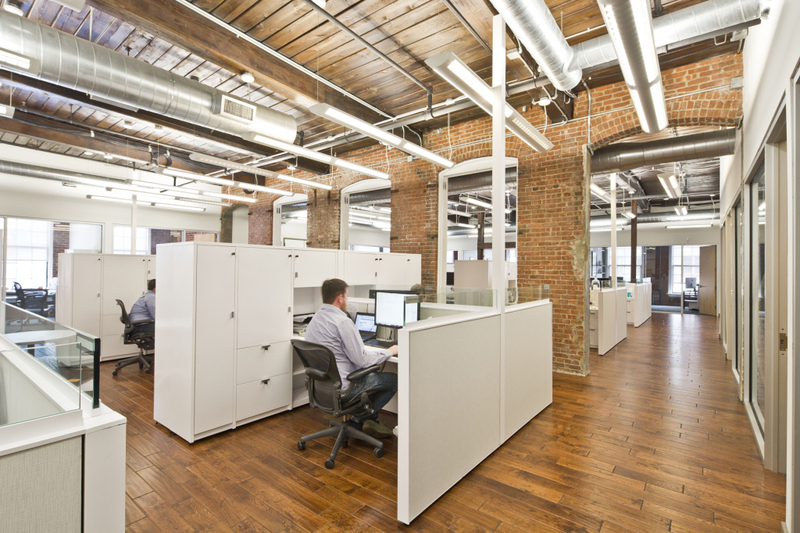 Its office space struggled to keep up with rapidly growing storage needs. In addition, high workstation panels were obscuring the unique architecture of the building, which was built in 1890. Proximo was committed to creating a new layout that provided a cleaner aesthetic with full functionality and less visible clutter. 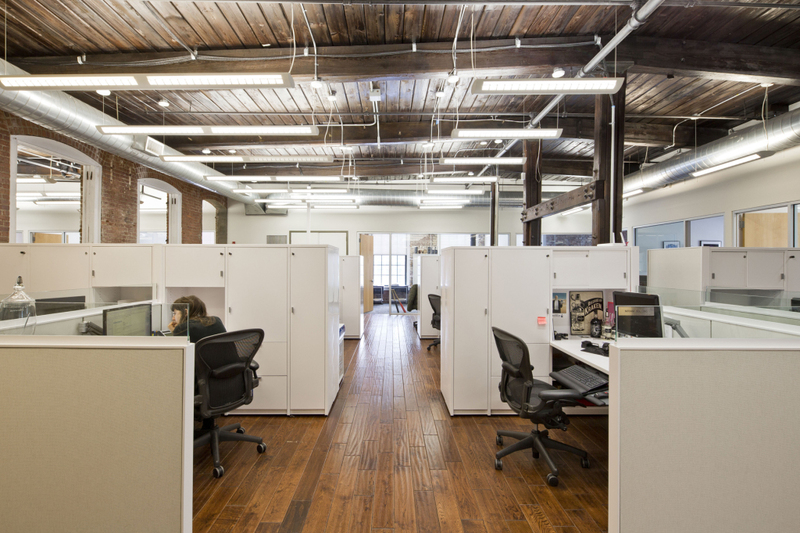 After two years of using affordable refurbished and rental furniture from Arenson’s Rental department during their growth phase, the firm sought a streamlined aesthetic to help attract and retain future and current employees. The needs of Proximo had begun to outgrow the amount and type of storage that they currently had, and they wanted storage that reflected the large body of work they were accumulating. “There was not enough storage particularly for the type of work we do… we had tons of bottles and mock-ups,” says Dylan Beyer, Assistant Brand Manager of the whiskey division. Because of the odd shapes and sizes of items that needed to be stored, many of the employees ended up putting their items on their worksurfaces. 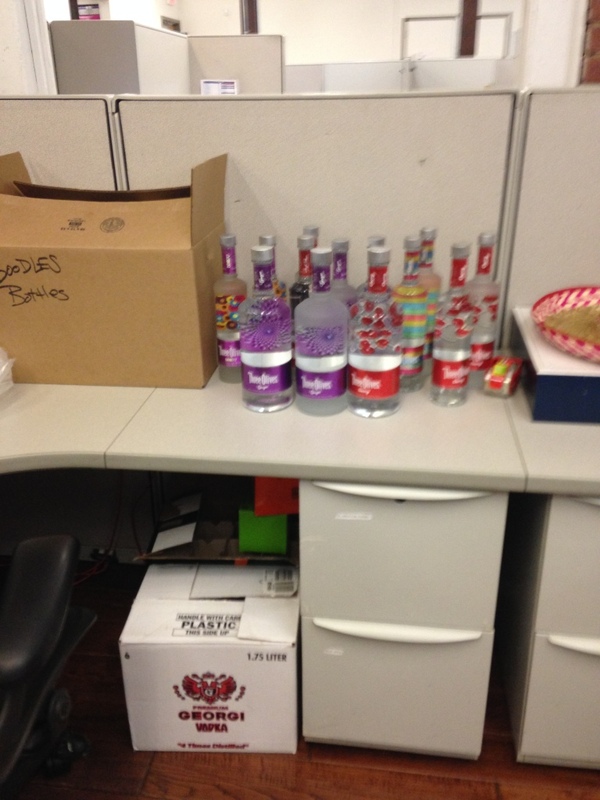 As a result, almost a third of their worksurface was being used for storage. In addition, many employees did not utilize their filing drawers because it was not the right size for their materials. 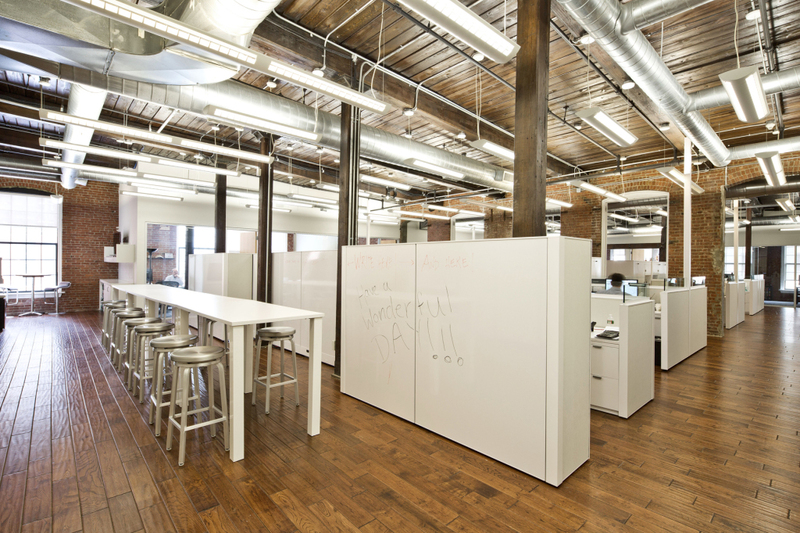 Proximo’s layout had consisted of private offices, 2 conference rooms, workstations, and a kitchen/break area. 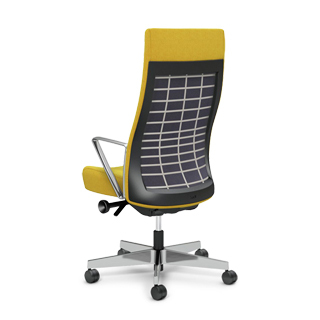 They wanted to create more areas for collaboration to provide greater flow of synergy. 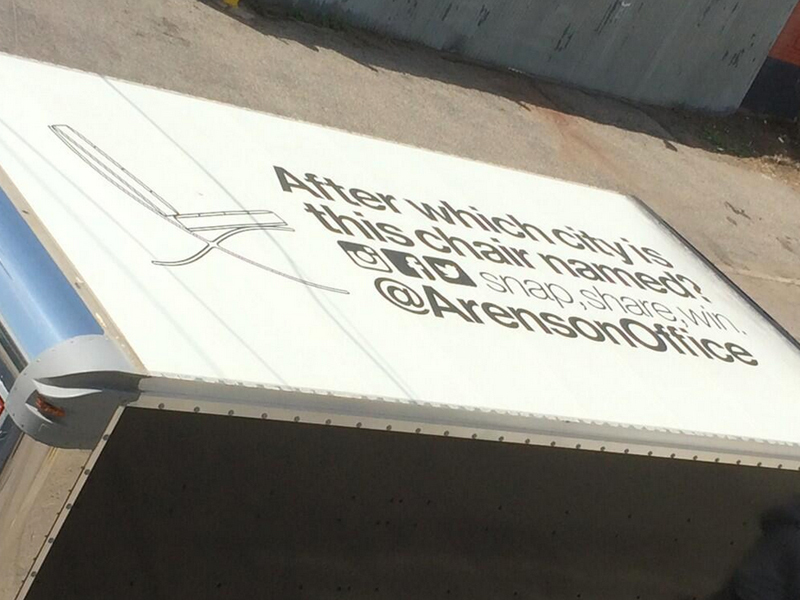 After providing rental furniture to Proximo for 2 years, Arenson was made aware of the need for change. 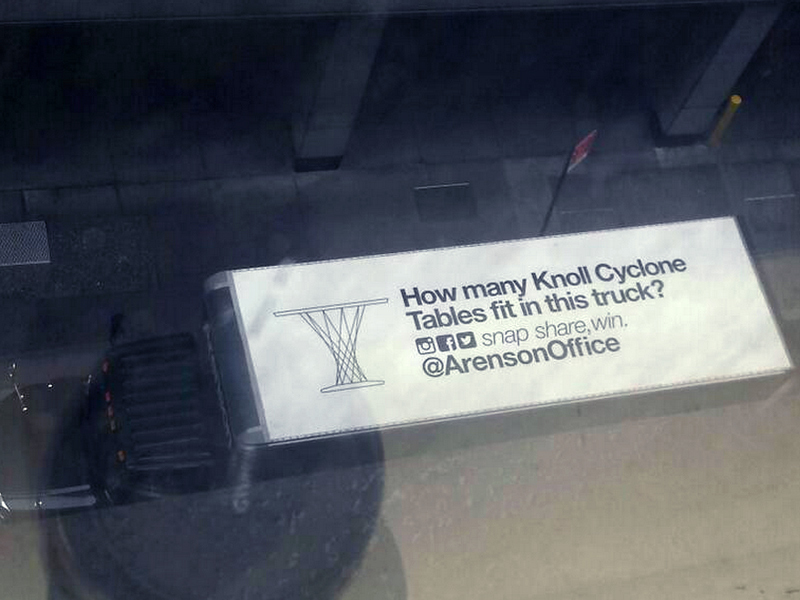 The Rental department collaborated with the Arenson’s Office Furnishings division and from there, a solution was delivered. “He had a lot of industry knowledge in terms of what to recommend, etc. It was a long process… there were a lot of changes; overall, it was a great experience. Every question we had for him, he had answers. He’s very on top of it,” Vera Soto, Manager of Financial Planning at Proximo who led the project, said of John Lawler, Arenson’s point of contact for this project. After walking through the space and discussing the current concerns with Proximo, Arenson realized that employees had storage that was inadequate in both type and amount. Many of the employees did not use their filing drawers and ended up putting storage on the worksurface. In addition, the space had unique architecture and windows that were being obscured by high panels. 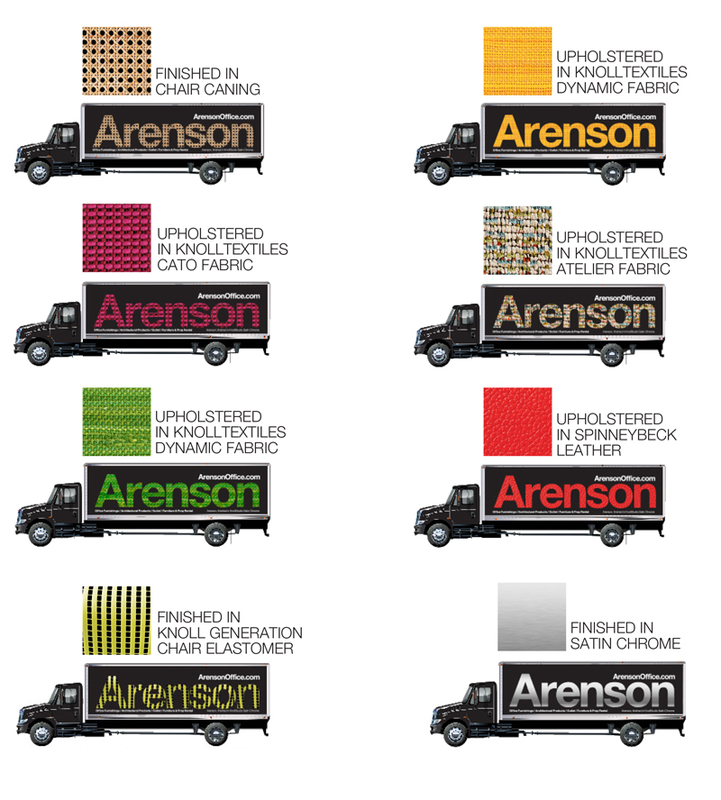 Arenson chose Knoll’s Template line of storage specifically to meet Proximo’s needs. 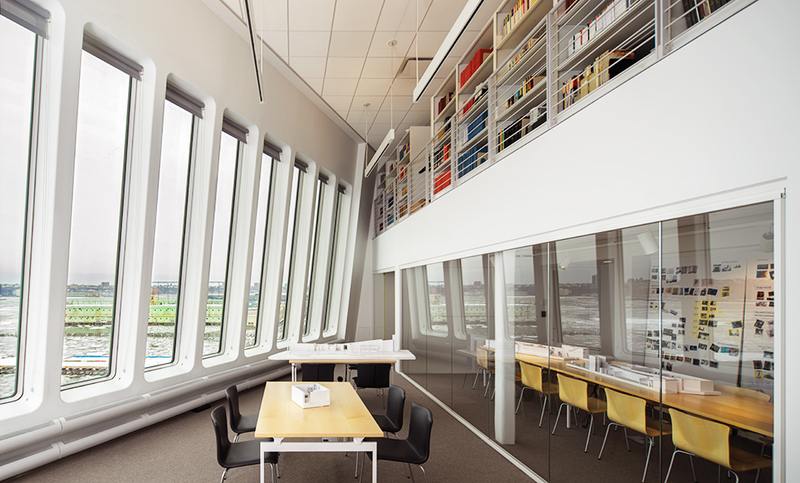 With multiple horizons and unique two-sided access, Template enables a topography of sightlines; this allowed the unique architecture of the room to stand out and natural light to disseminate better. The client desired low horizon; however, this conflicted with a functional storage solution. 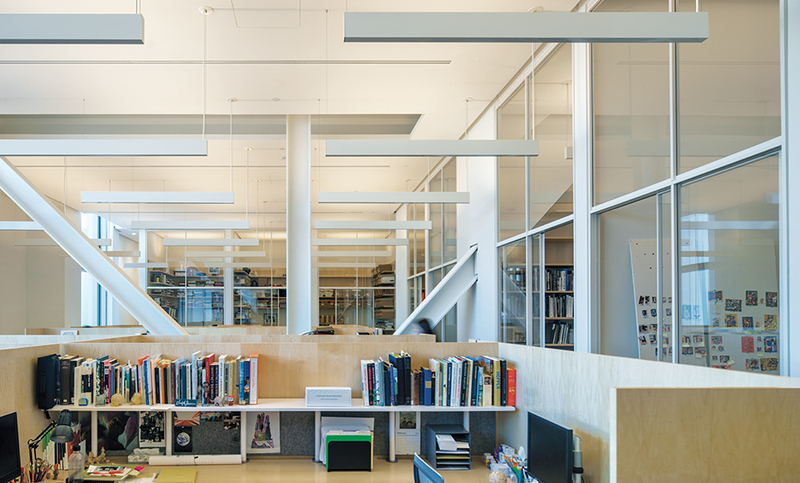 As a result, the final workstation layout uses multiple horizons that let more light in throughout the room. 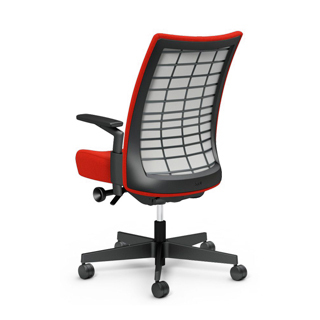 Template’s modular, component-based construction allows for flexibility and customization. 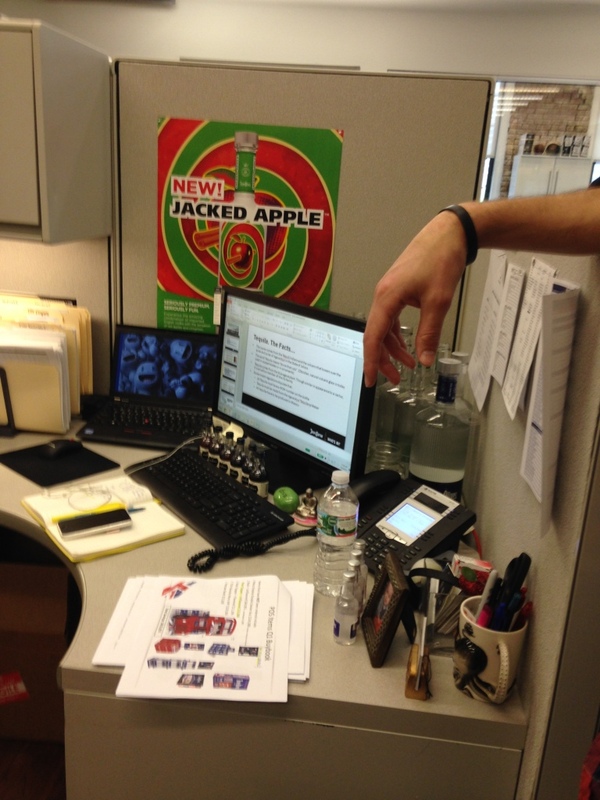 Monitors and keyboards also took up a good portion of each employee’s worksurfaces. Arenson provided monitor arms and keyboard/mouse trays to clear the worksurface and enable proper ergonomics for the user. 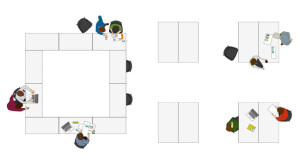 Arenson provided small meeting tables throughout the shared workstations as well as an informal break area that was able to accommodate 20 people. 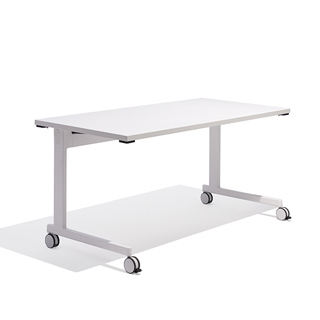 The informal break area consists of bar-height tables with Knoll tops. In addition, Arenson provided markerboard surfaces on high panels facing the break area to aid in collaborative efforts. In addition, Knoll Template’s 15” deep footprint allowed for greater space efficiency; this helped provide space for the collaboration area near the pantry. 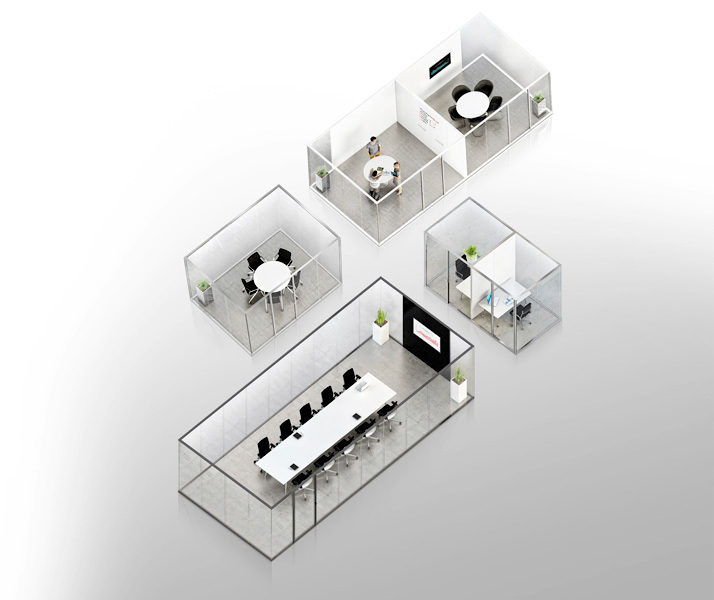 A smaller workspace footprint accommodates the same number of workspaces as before as well as additional collaborative areas both within the workstations and in the separate break area. The break area is slowly gaining popularity. “That’s something we’ve never had before. Maybe over time, people will be more comfortable using it. Some people hang out there during lunchtime. Others who have a lot of stuff to lay out use that area too,” says Beyer. 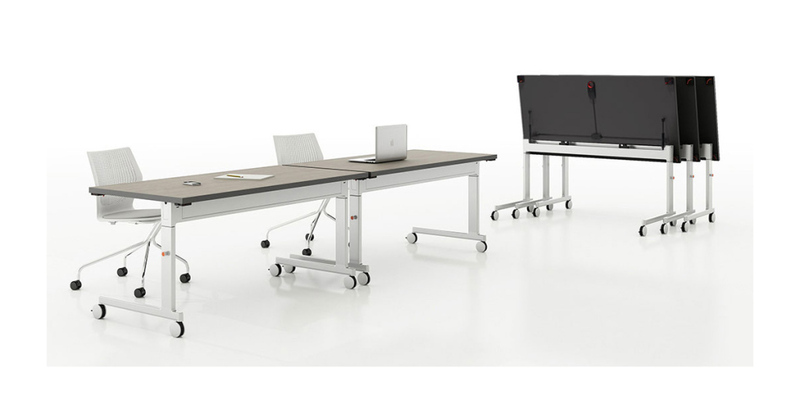 An innovative furniture solution creates greater efficiency in a more spacious configuration that provides some privacy while maintaining openness for improved collaboration. Raising the subject of new health concerns with the prevalence of mobile technology in a fast-changing work environment. 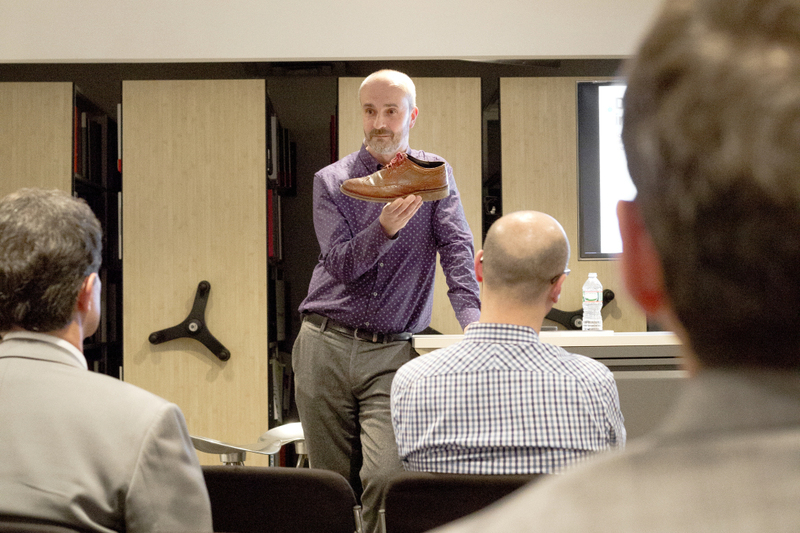 Arenson recently had the pleasure of hosting Orangebox, where Jim explored our changing places of work and the workforce within them and the implications of our increasing reliance on hand-held technologies. The discussion, hitting on topics of noise control and ergonomics, focused on insights and recommendations for achieving better working practices and environments. Challenging your perception of health. Jim introduces a transformative idea of bringing the “highline into the office.” What if we push for a health resurgence from an administrative level, where it starts to blend healthier practices into our work day. Implementation of programs that not only bring these issues to light but challenge them will start to shift our acceptance of unhealthy practices. As a bonus, we took the liberty of finding some simple, everyday practices that could start the conversation of transforming the perception of health in your workplace. 1. Jim suggests taking a walk instead of calling a coworker, which increase face-time and boosts morale. 3. Start an ideas board, where employees can share their interests and concerns about well-being. 4. Take an initiative and implement shared office activities. 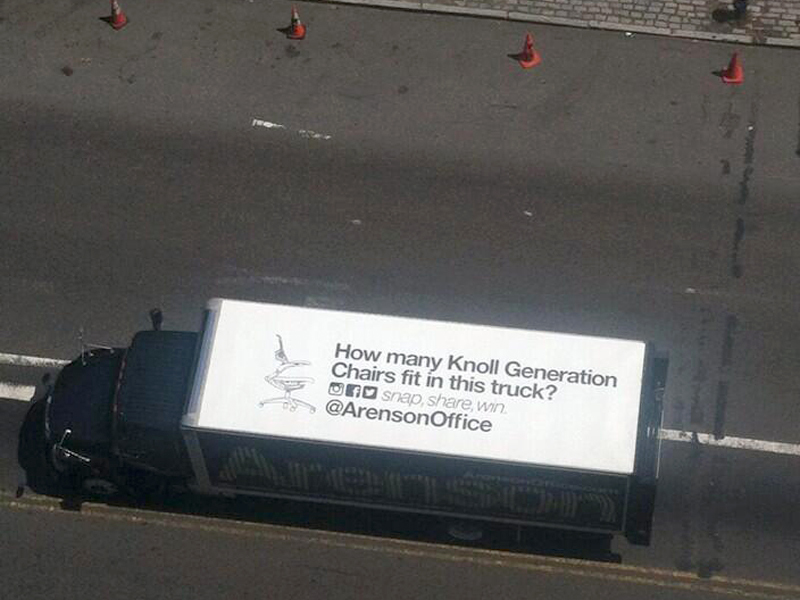 At Arenson, we implemented Yoga, Zumba, and afternoon massages into the work week. Play the ‘Walking Game’—250 employees accepted a pedometer to count their steps: 2 million strides over 36 hours. 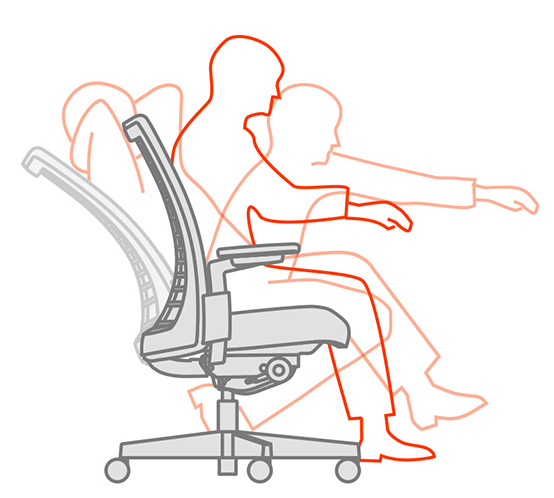 The idea was to get people moving, help them meet colleagues and build a feeling of community. There are a number of ways to start the conversation and challenge the well-being practices in your office. 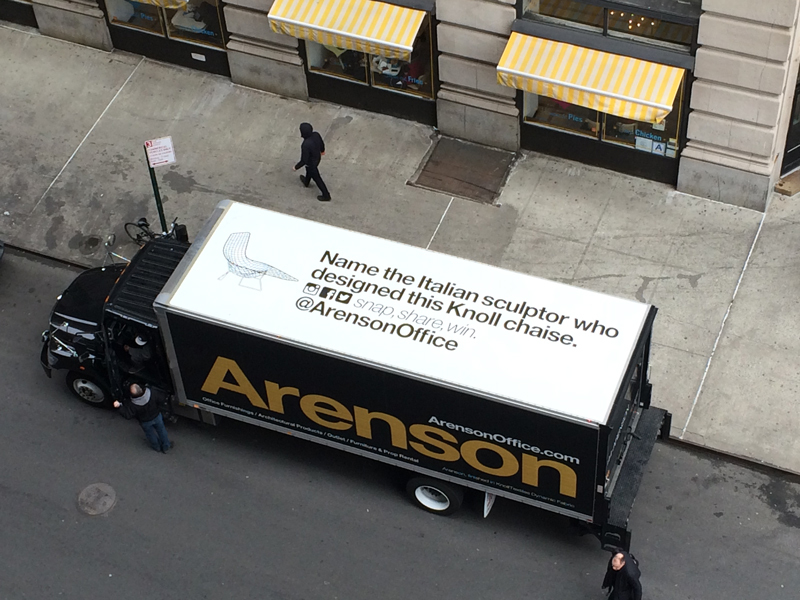 Share some of your ideas with us via social media by hashtagging #healthyworkplace @arensonoffice. 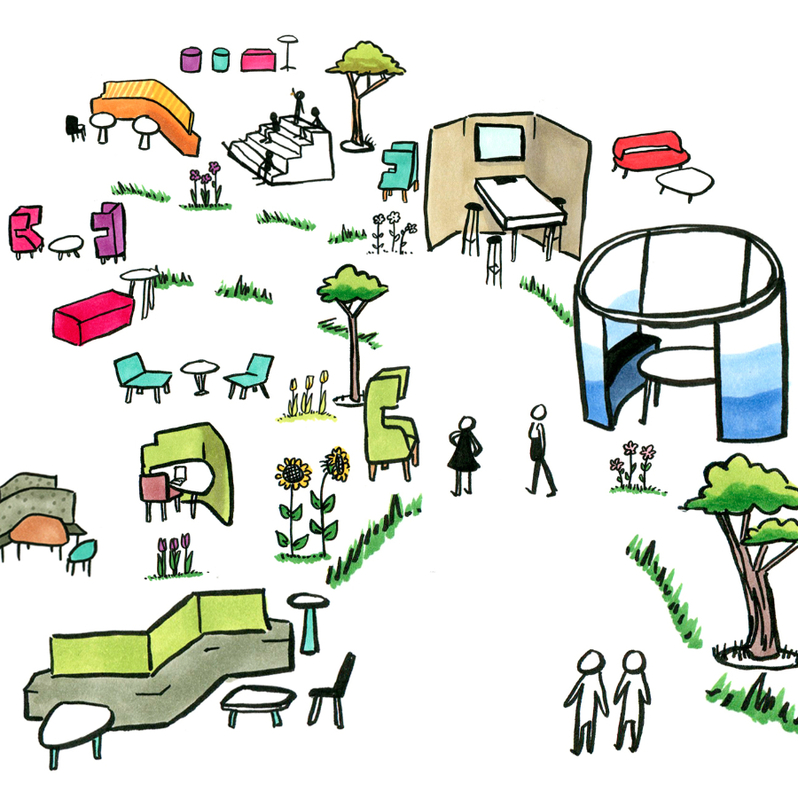 Creating adaptable work environments from start to growth. For startups, there is a great deal of friction in creating physical environments along the journey and quest for greatness. While initial founders can handle the coffee shop as the conference room or the corner of another office as home base, the functional and cultural requirements of an office quickly become a reality as a team grows in size. Ignoring that reality may not doom a business, but it creates an avoidable drag on the overall mission of the company. Why? 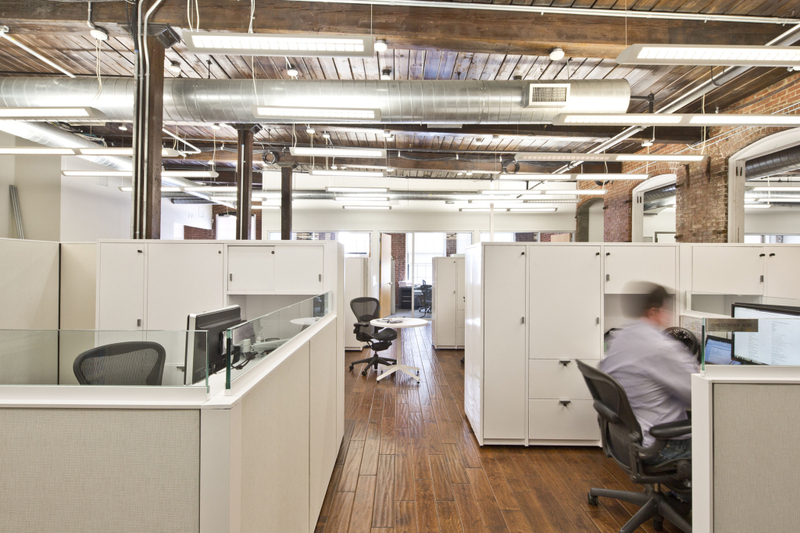 A well-performing environment is crucial in the high-stress, fastpaced crucible of a startup. There is a return on investment for the environment, just as state-of-the-art laptops and smartphones deliver a return to the business in terms of output. For companies that have scaled successfully, the physical environment is rarely a perfect journey. But there are important lessons to be gleaned for new startups to ensure the environment performs today and avoids pitfalls tomorrow. Watch Ben Waber’s presentation at the Google re:Work conference. 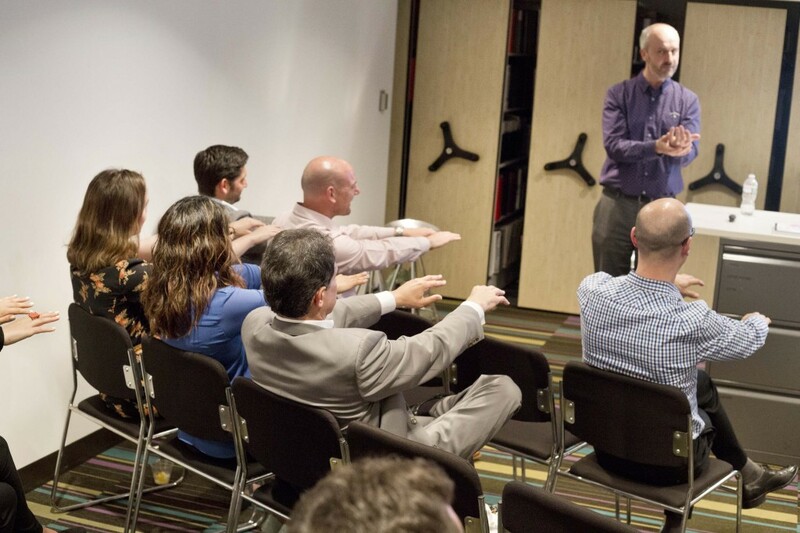 Dr. Ben Waber, President and CEO of Humanyze – part of Sociometric Solutions – showed how his company’s wearable ID badges gather data on employee interactions, which can then be used to map internal networks and predict performance. The badges collect data constantly about employees’ real-world interactions with colleagues and how employees spend their time. Waber’s team uses this data to better understand how organizations operate and what behaviors positively influence employee performance and organizational success. Their research has shown how the physical layout of an office can help or hinder the sharing of information, which can impact millions of dollars in sales. “It demonstrates the results you can get when you use real data about how people actually work to change how a company operates,” Waber said. 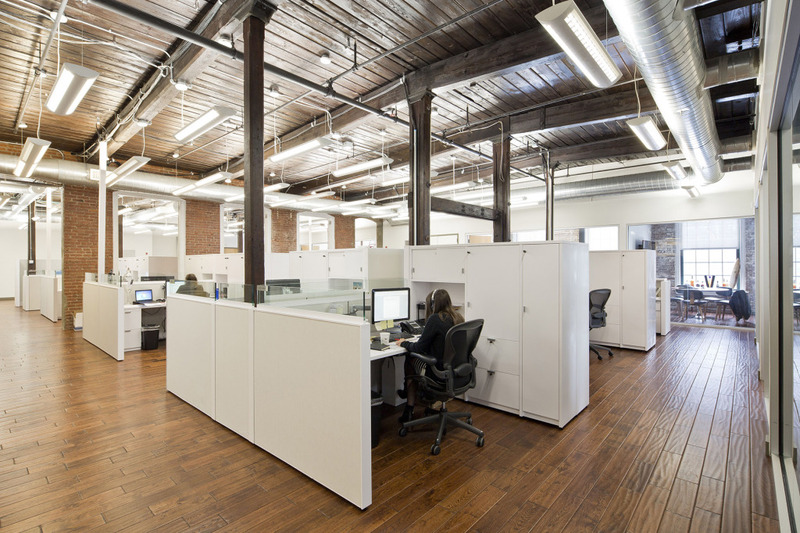 The widespread move by companies to densify (cram more people into) open-plan offices provides for some interesting office-design possibilities. 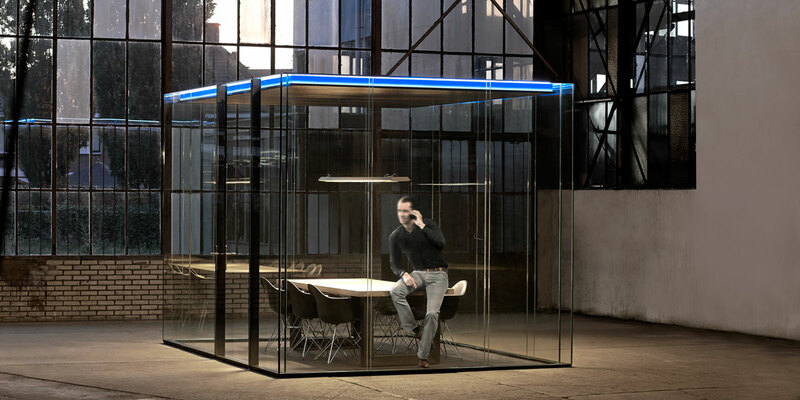 One new trend we have seen is the emergence of Collaborative Shelters – freestanding structures for the purpose of huddling, conferencing, or even breaking away from the open-plan to have a private moment to oneself, free from acoustical distractions. 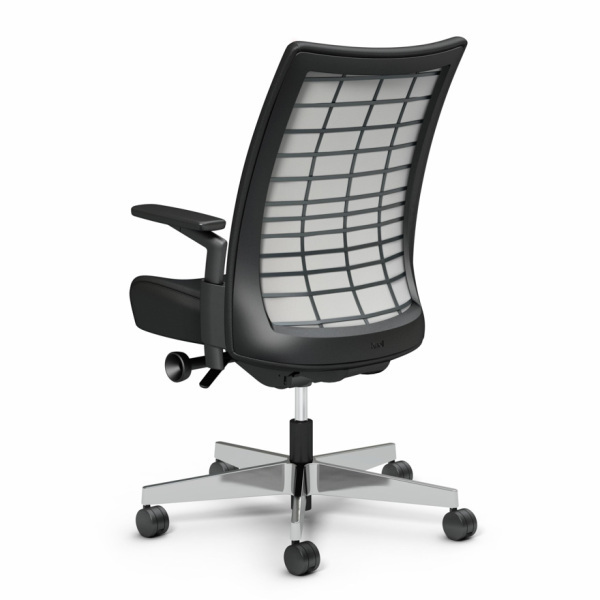 Maars has seized on this trend with the introduction of LineaCube at the Orgatec 2014 Office and Object Trade Fair. Incorporating details from the LaLinea architectural walls platform, LineaCube features double-glazing and flush-mount glass, which cleverly conceals door hardware, including jambs, frames and hinges. 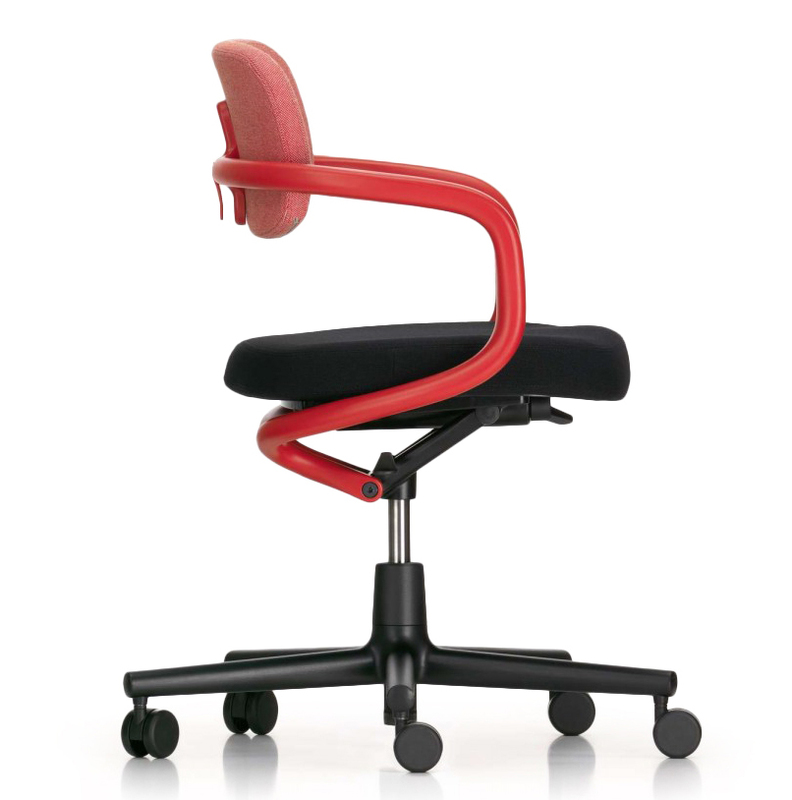 Additionally, the sleek, adjustable footer profile is among the most minimal of any wall system out on the market today. But perhaps the most differentiated element of LineaCube are the crystalline double-glazed corners – a signature detail resulting from the mitered glass edges and the absence of vertical profile components at the corners. 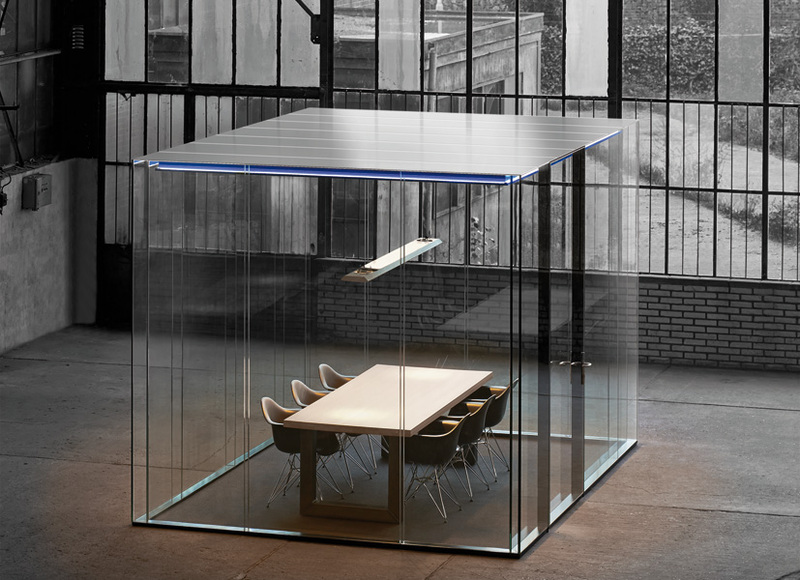 For more information regarding LineaCube or any Maars product, please contact archproducts@aof.com or call (212) 991-4191.